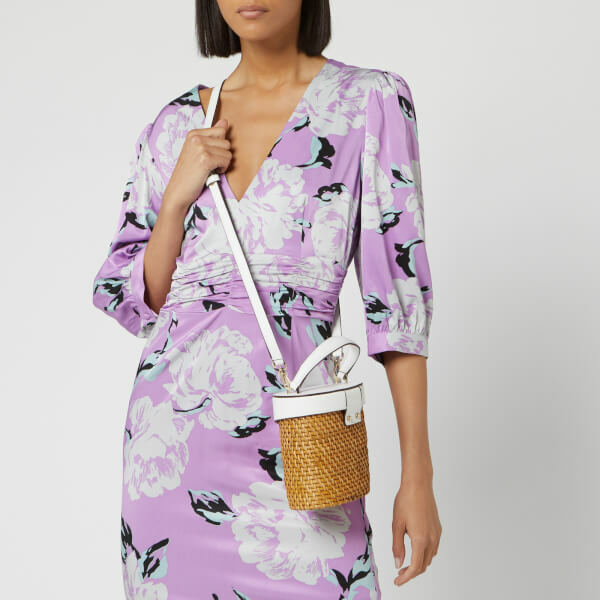 The ‘Rose Mini Bucket Bag’ from Kate Spade is a versatile bag with a detachable shoulder strap and top handle. 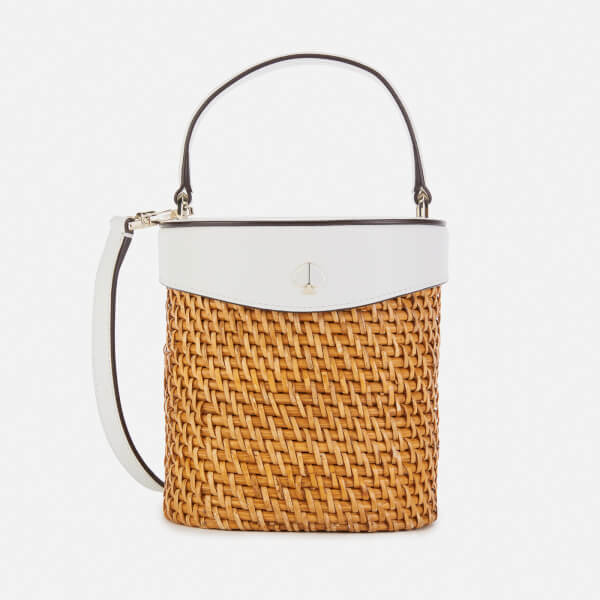 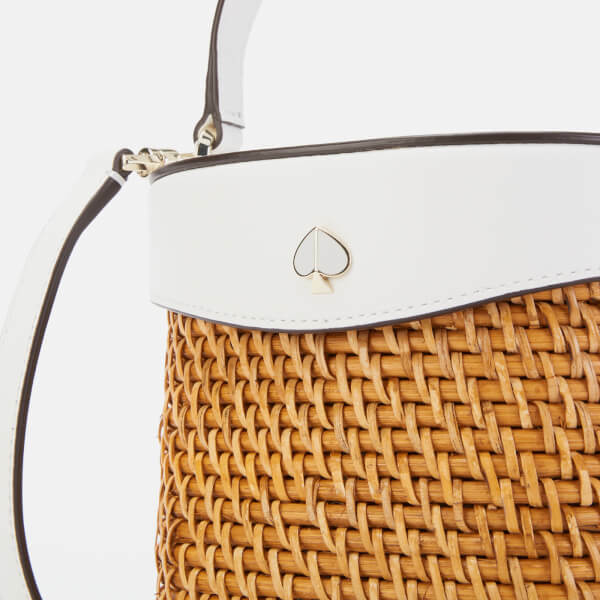 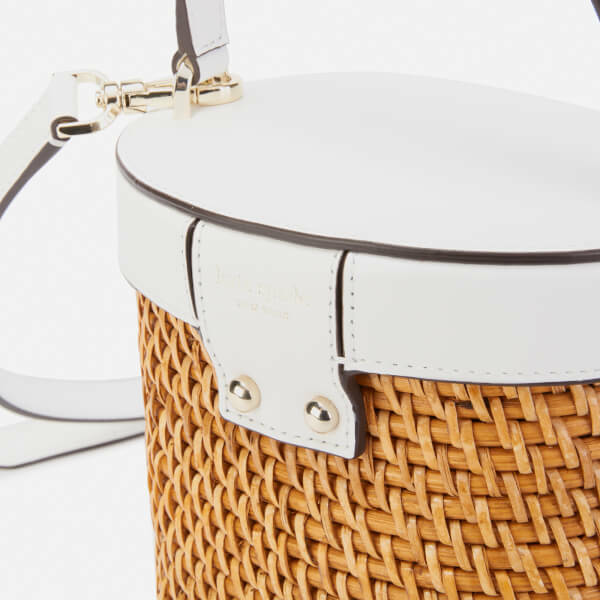 Crafted from a woven rattan material, with contrasting white leather top flap and strap. 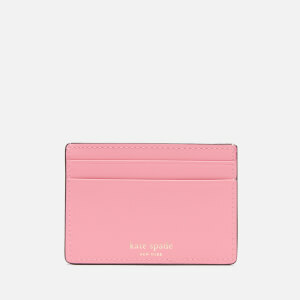 Finished with an enamel Kate Spade emblem. 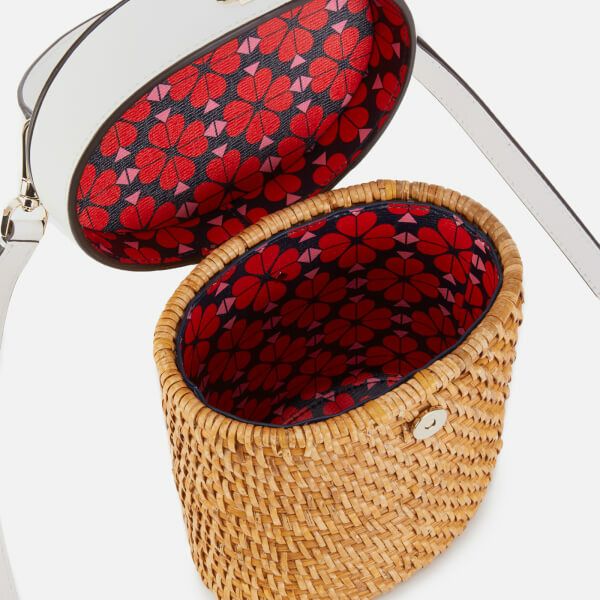 Dimensions: H: 16cm x W: 15cm x D: 11cm. 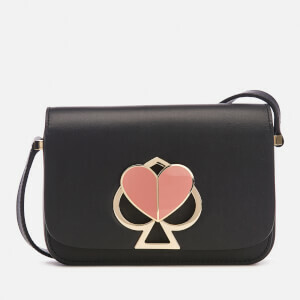 Handle Drop: 9cm. 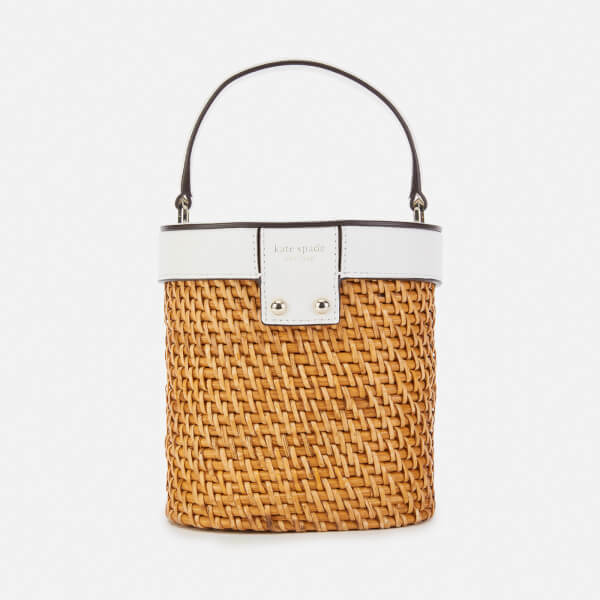 Strap Drop: 58cm.